Immaculately maintained 2-bedroom home on a huge corner lot, just steps from one of the many community pools at Palm Lake Co-Op. Open & spacious with lots of room to entertain with formal dining plus an eat-in kitchen, large family and living rooms, plus an extended, enclosed porch with newer pergo flooring. 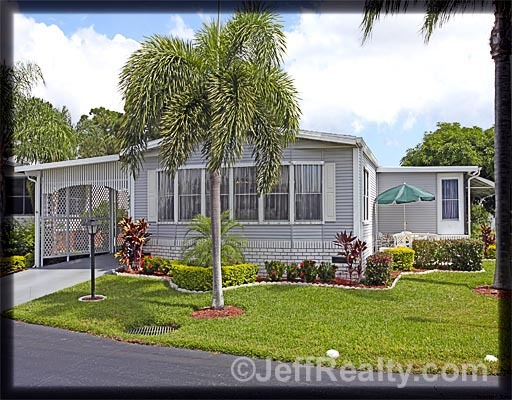 Beautifully landscaped with two sunny deck areas which are perfect for enjoying the Florida sunshine. This home features a covered carport, newer vinyl siding and brick skirting, clear storm shutters (2009) and a newer roof. Posted in Palm Lake Co=Op on October 22, 2011 at 7:50 am.